Inko is a collaborative whiteboard that lets you draw together using multiple iPad or iPhone, and even interact on Apple TV. Ideal for team coworkers in a brainstorming session, for a creative classroom project, or for an interactive meeting between a graphic designer and their client. Create a group and just start drawing together! No need for complex network setup, or even any network at all, thanks to nearby connectivity. Be it in a bar, or on the beach. Oh, and your drawing now even goes to the big screen too thanks to the free companion app for Apple TV! It instantly connects and interacts with all devices in the room. A great alternative to those bulky & expensive interactive boards. Even though Inko is both simple and intuitive, it's also backed with advanced features like vibrant colors and beautiful pixel-free drawing display that stays sharp when zooming in. It also offers precise Apple Pencil support for an amazing drawing experience, lag-free and undo-capable real-time interactions, as well as hi-res PDF exports to share with your group when you’re done. • Highly responsive, "appears-as-it-happens" multi-user drawing with no lag. • Participants’ labels on drawing trails that show who is currently drawing. 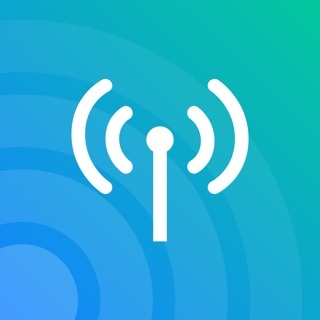 • Nomadic collaboration: iOS peer-to-peer connectivity without Wi-Fi access point. • Seamless connectivity with up to 12 devices (Wi-Fi), or 8 devices (no Wi-Fi). • Group saving for quick setup of future sessions. • Secure connection between devices (TLS). • Beautiful pixel-free visualization that stays sharp when zooming, as well as vibrant colors on wide color displays (P3). • Unlimited number of personal or group canvases. • Extensive Apple Pencil support (angle, pressure, high-speed & predictive sampling). • Pen tool with two sizes & one calligraphic variant. • Lasso editing: select, move, rescale. • Ephemeral highlighter to point things out. On Apple TV, it even features innovative motion-driven interaction with the remote, like a laser pointer. • Single- and multi-user undo/redo & reliable syncing. • Universal app for iPad and iPhone. Free Apple TV companion app(*). • Export hi-res PDF or native archive for a productive workflow. 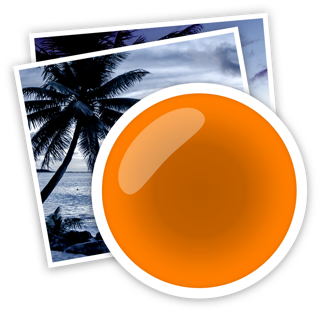 • Compatible with Carbo (photo-based import). • iCloud sync for personal drawings. • Support for iOS 12 Siri Shortcuts. • Collaboration Pack: a one-time purchase ($19.99) that unlocks collaboration. In this configuration, all users must unlock the pack for time-unlimited sessions. 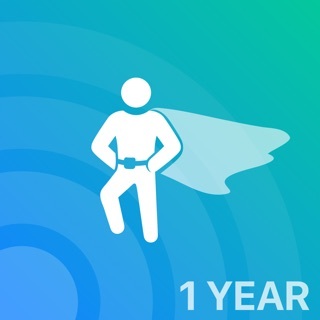 • Hero Plan: a subscription ($11.99/month, $99.99/year) that grants one user (the hero) the super power of initiating sessions that others can join using just the free app. Ideal for schools and enterprises. - Handling of new Apple Pencil double-tap gesture: switch to color palette, eraser, or last-used tool. So me and my friend wanted to use this to doodle some random stuff. I was drawing for less then a minute when a notification popped up saying “Trial Period is over.” At first I ignored it and restarted on my drawing. It came up again and it had deleted the group of me and my friend that I had made. I looked into it, and we have to pay to collaborate when thats the whole point of this app? Maybe you should remove the word “collaborative” from the name of the app. I deleted it straight after that. The one star on this review is my disappointment. Good day/night to you, developers. I use this to for homework/study practice using my Apple Pencil, but there is an issue of not being able to lay my hand on the screen and it picking up my hand once every couple times opposed to the pencil. Other than that, perfect. I have one question: if you subscribe to the hero plan, is it Tim unlimited, or is it still only 5 minutes? Hello. The Hero Plan subscription grants you the power of initiating sessions that others can join using just the free app (ideal for power users). The sessions are of course time unlimited. The Collaboration Pack is a one-time purchase that unlocks collaboration. In this configuration, all participating users must unlock the pack for time-unlimited sessions.